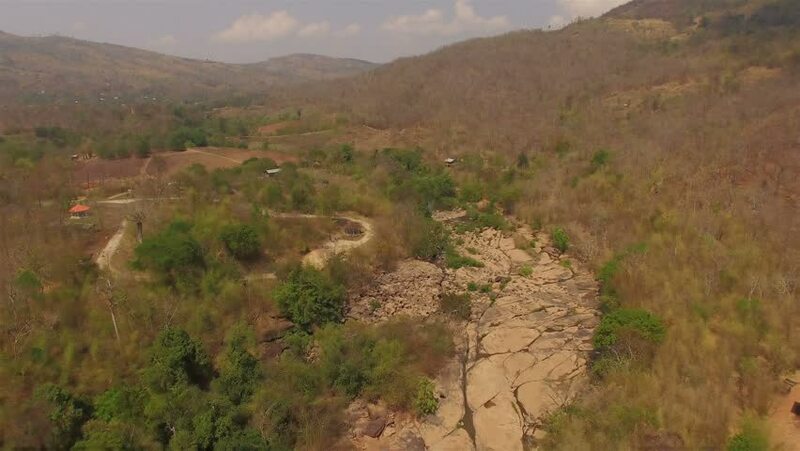 Aerial view : Drought in tropical forest with rocks. 4k00:40We went to the top of the mountain. It was a great plain. It's as if the world was over and a new world began.